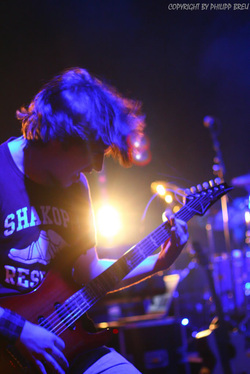 My Improvsiation Masterclass and my Hybrid Picking Masterclass Vol. 1-3 are available for immediate download at Jamtrackcentral.com. I've finally come around to create Patreon campaign, through which you can directly support me on my musical journey. We got some great, exclusive perks available for you. CHECK OUT THE CAMPAIGN! Ibanez MM1 - Martin Miller Signature Electric Guitar OUT NOW! This has easily got to be the biggest and most exciting announcement I ever had the pleasure of making in my entire career. Ibanez will be producing and distributing my first signature model, the MM1 in 2018. It will be a part of their new AZ model series, which I helped to develop from the ground up starting two years ago. This has been an amazing and unique journey that led to the creation of a wonderful series of guitars, that are currently taking over the guitar world in a storm. At last Ibanez made it possible for me to have my own model being built, based on the AZ shape with my own choice of woods and aesthetics. As of now, the MM1 is the only guitar in the entire range with a mahagony body, chrome hardware and the gorgeous Transparent Aqua Blue finish on a flame maple top. Find more information in the GEAR section! My list of instructional products at Jamtrackcentral.com is growing nicely. Check out these recent releases by clicking on the pictures! Solo album "The Other End" - OUT NOW! 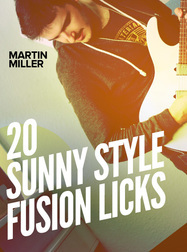 Hi, I'm Martin Miller, I'm a professional guitarist from Germany. Thank you for dropping by on my new homepage! I'm really proud to announce that my solo debut record "The Other End" is OUT NOW. You can order the physical CD at JTCmerch.com and the digital version along with goodies such as backing tracks, TABs, etc. at Jamtrackcentral.com. The site is packed with all kinds of information, videos, audio, picture material for you to check out. I will also be adding downloadable lessons very soon. If you're interested in private lessons, Skype lessons or studio/online session work, follow the "Lessons & Booking'" link above! Stay tuned, there'll be lots of news in the near future. Don't be afraid to contact me through my website! 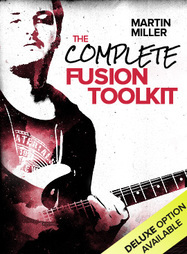 Well here it is, my first official instructional based material on the market. What you get is an instantly downloadable package with very high quality production and content. 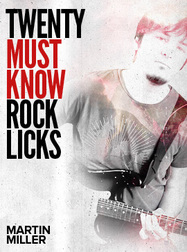 The basic idea is that there is a single backing track and I show you 20 different licks with increasing difficulty level, that you may use over this or another track. All examples are transcribed and tabbed professionally, performed fast and slow and contain additional notes and thoughts of mine written into the transcriptions. This thing has been a bestseller at the site, so be sure to check this one out by visiting the store or clicking the button below! 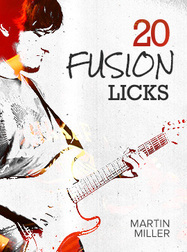 Also I'm giving away a free sample lick for the visitors of my webpage, so you know what to expect, enjoy! These guys are an amazing company, their products are equally great as the people involved. I've been doing a whole lot of work for them since 2012, please go check it all out HERE! 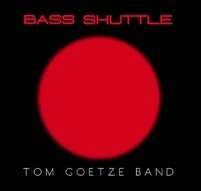 Tom Goetze Band "Bass Shuttle" out now! The Tom Goetze Band CD is out and can be ordered at www.tomgoetze.de. It's a fantastic record, that we recorded within just two days and features all original music in the tradition of Marcus Miller, Miles Davis, Michael Brecker, etc. Check out my latest Youtube effort! Click HERE to go to my Youtube channel!